"6 Steps to Significantly Reduce Translation Costs" posted on 9/21/2018 at 1:28 PM by writer. 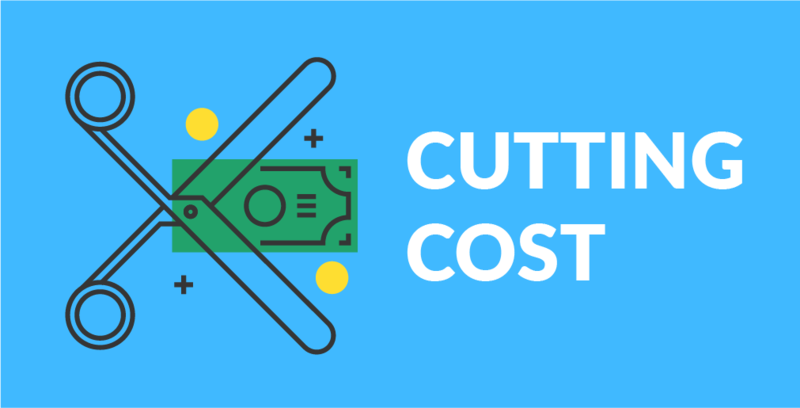 Today we will tell you how to significantly reduce the cost of translation services when you enter a foreign market. Expansion of your business into another country always involves a lot of costs, but many of them can turn out to be even more expensive if the approach is wrong. In each article, we try to educate our readers that the key to success is planning, and a clear strategy. If you do not have one, you can find ways to save some money in the initial stages, but pay additional on a subsequent ones. When trying to move from one business model to another, there is always a conflict of opinion within the management team and an even greater embarrassment in the ranks of ordinary employees already accustomed to the previous course of doing business. When trying to integrate your current business model into another country, with a different culture, political and religious views, and finally, the mentality can be faced with an absolutely opposite perception by the local audience of your product or service in comparison with your regular audience. Research here is necessary. It will entail a minor additional cost in the first stages, but it will help you to avoid significant expenses in the future ones. Let’s dive into the analysis of the steps that need to be taken for this. Reasonable approach to the languages selection. If your company does not yet have an international presence, then it is necessary to conduct research in several countries to find out the anticipated success of your product or service. One good idea is to look at the results of web analytics of your websites traffic for the last year. If from some regions customers came and even made purchases without any optimization for this region, then it is worth paying closer attention to these regions and checking them first. – Use a special translation solution, such as ConveyThis Translate, which allows you to translate the content of your site into dozens of languages ​​at once, gives numerous SEO benefits, and all this at a relatively inexpensive cost. – To have a professional translation of the whole website into some languages ​​of those countries where it is planned to increase the presence (this is also the option if you create a unique site for each individual region). The second case is much more professional and client-oriented. However, by following it, it is very important to try not to provide many languages ​​to users at once, it is much more important to focus on the key languages ​​and to improve all your content only for these languages. The main reason for choosing the second option should be the only one when you see a clear perspective in a certain region and have good reason to believe that this could be your new profitable market. Focusing on multiple languages ​​at once can damage the quality of the integration of the key language. An exception can be the only case if two or more languages ​​are firmly established in the region, for example in the USA: English and Spanish. Use a single content base for reuse. The majority of companies believe that each separate region requires the involvement of local translation specialists. However, local companies usually specialize only in local languages ​​and dialects and do not have the experience of running large projects. As a result of using a local company, you are unlikely to get a single content base (or a single localization base), because they will simply perform the translation as they can. Later, disappointment will only increase, when you decide to expand your brand in several other regions, contact local companies again and find out that it costs almost the same, if not more. Also, you should ask the translation agency to create a terminology base for your organization and brand. Having two common bases from the very beginning, all further language transfers will be much easier, faster and take less expenses. Make sure your translated content is fully compliant. Part of the content always refers to the official and normative documents, informative messages that are used for legal purposes and require a strictly established format and style of writing. From country to country, the format of such official messages may change slightly, but the writing style is unlikely. The main point here is that, based on the already established legal standards for your product or service, you need to describe them correctly only once and enlist the support of lawyers regarding their correctness. Thus, with the migration of the content to another language, these parts will not need additional study and a separate translation. It is enough to prepare a generally accepted base, which, when translated into any language, will be equally valid. It is much easier if the content of an already existing site can be translated into a target language, then you can start promoting it right away. But sometimes during studying it may be found that the content is poorly interpreted and additional changes or creation of new pages are needed. Having thoroughly analyzed your content and determined the volume of the required work, you can save money without creating an additional website. It can also be added here that well-written source text is extremely important for general localization. Specify to copywriters that the text should be easy to read, mainly consist of short sentences and paragraphs, avoid complicated speech turns, specific abbreviations and slang. Thus, at the time of localization, translators will have a less chance of making mistakes, and you will protect yourself from numerous queries about the meaning of one sentence or another. Last minute requests and tight deadlines usually mean higher rates and lower quality. Plan your strategy and implement it step by step. Keep in mind that in your home market you already have an income and that’s why the most important thing here is not speed, but quality. Also, put sufficient time to check the quality of the work performed and to verify the standards of a common localization base that you can use in other regions. Do not neglect the benefits of technology. Modern translation methods, such as Neural Machine Translation (NMT) are very effective and have surpassed the quality of a basic machine translation a long time ago. The cost of such a service is slightly more expensive, but it is still less than the cost of a human translation and leaves less work for an interpreter on proofreading stage. You will certainly need a thorough correction of professional translators, but if you use NMT, the savings will be at least 1.5 times. Do not switch between translation agencies. As we mentioned above, it is extremely important to create a good localization base in the initial stages, so that later the cost of adding the language could be reduced several times. When choosing a freelancer for such work as a professional website translation, you can save money first, but get a lesser quality translation and spend more on corrections and modernization of your localization base in the end. In addition, working with the same translation agency, you will be able to rely on better communication, faster execution and discounts for additional orders.